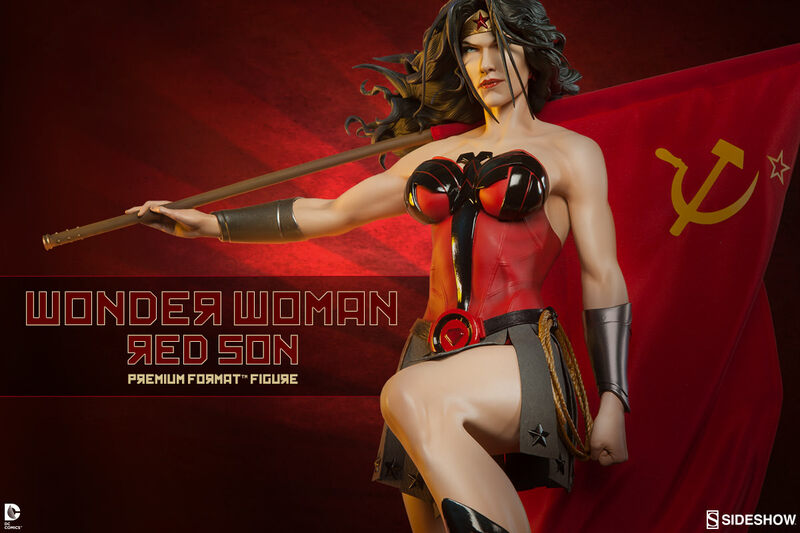 Based on the critically acclaimed Elseworlds mini-series by Mark Millar, Sideshow Collectibles is proud to introduce Wonder Woman Red Son Premium Format™ Figure. In an alternate reality, Princess Diana of Themyscira leaves her Amazonian paradise to fight for equality in Man’s World, working side by side with Superman, the Comrade of Steel, to increase the Soviet Union's sphere of influence and ideology across the globe. 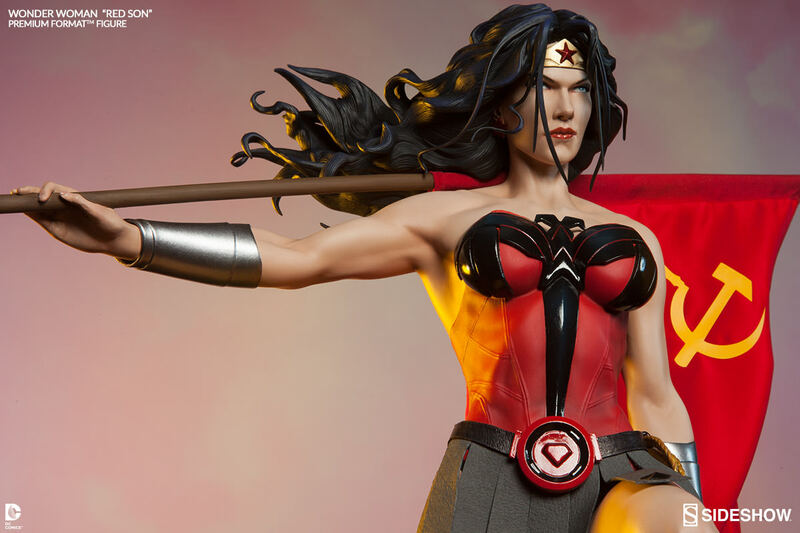 Expertly sculpted in one-quarter scale, the beautiful warrior shows her true colors, dressed in a red and grey costume which ominously reflects the militaristic look of the Cold War era. 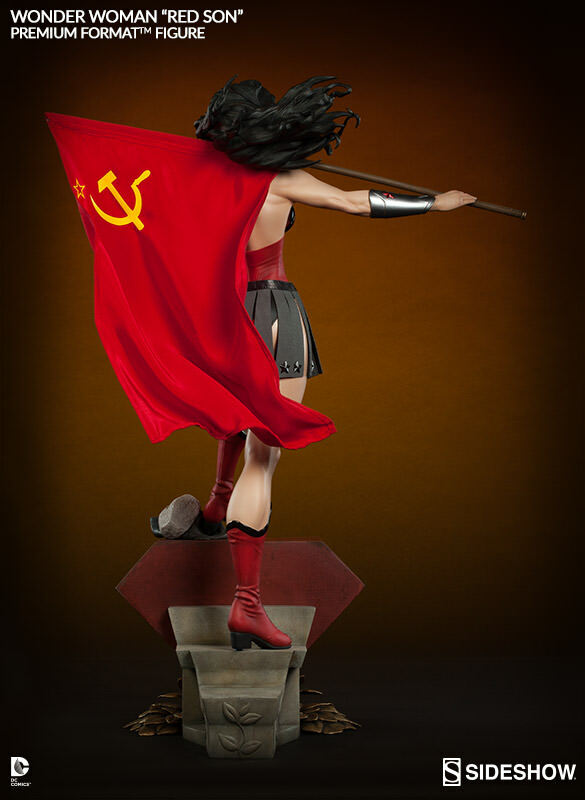 Sworn to uphold her mantle as an international ambassador of peace, the Wonder Woman statue shows her carrying her golden Lasso of Truth and an enormous flag bearing the hammer and sickle – she's the greatest champion for social justice the world has ever known. 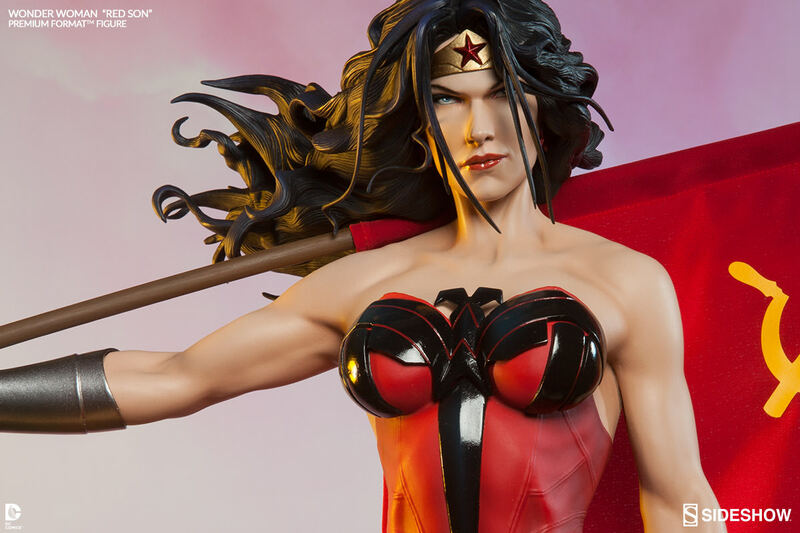 DC Comics fans, don't miss your chance to own this Wonder Woman collectible! Pay as little as $235.00/mo. 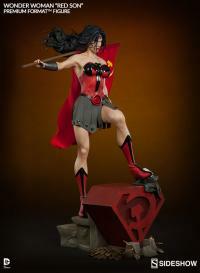 This Wonder Woman statue is simply stunning. 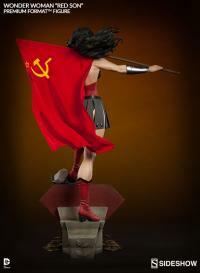 From her cold steel gaze to the proudly displayed soviet flag, she is a force to be reckoned with. Amazing sculpt and paintjob not to mention the amazing base. 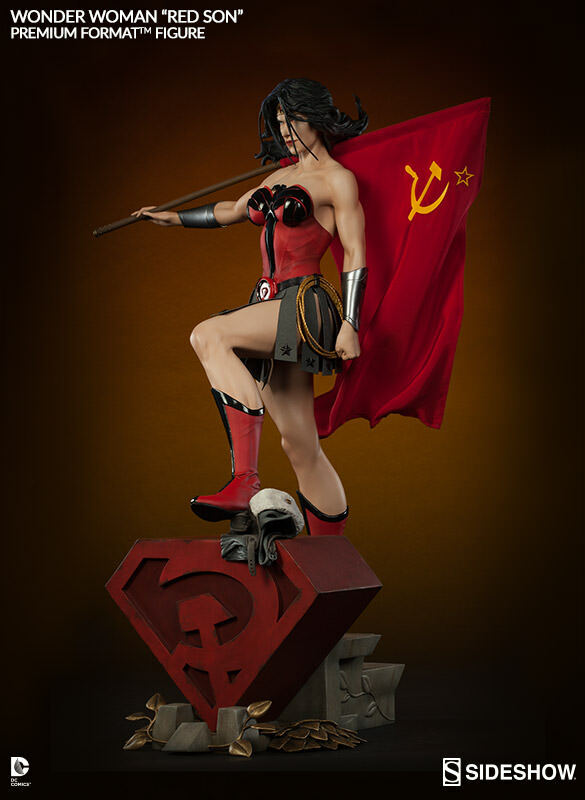 I've seen many WW statues and always wished I wanted to buy one, but this is the first one I really had to have. 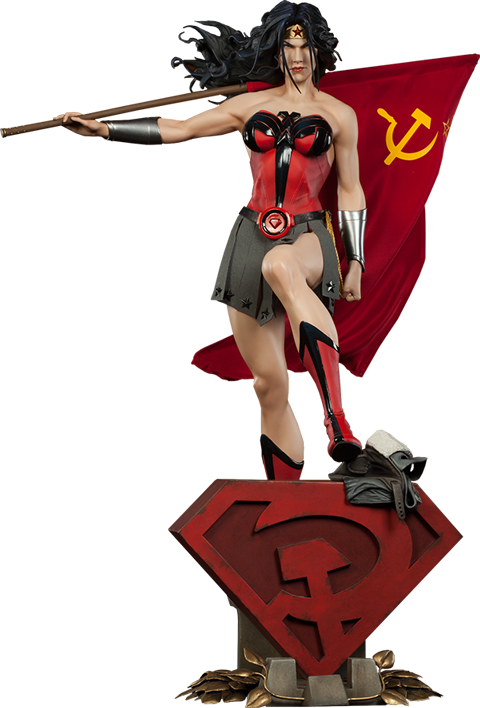 Pictures look good, but the statue really knocks it out of the park. 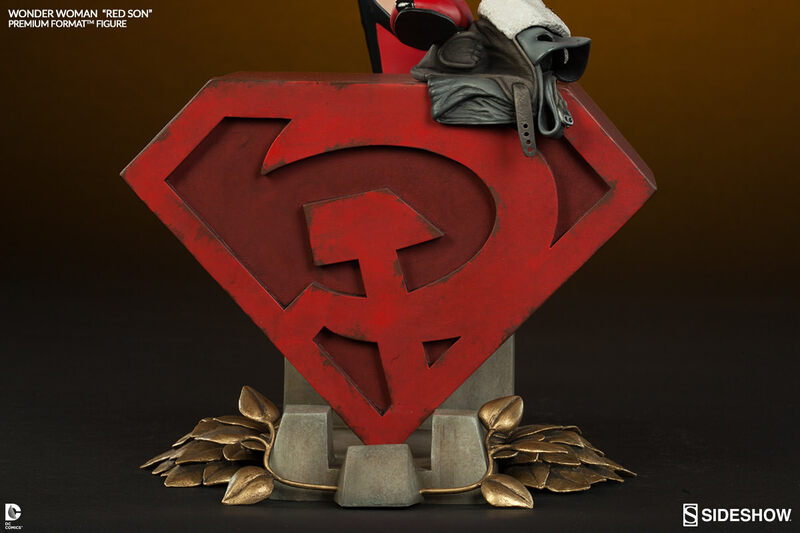 The wire in the flags edge is a nice touch to make it poseable. Thanks Sideshow!! 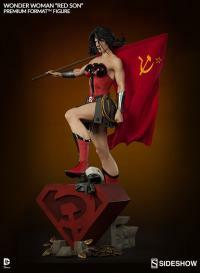 This Red Son Wonder Woman is the PERFECT CENTER PIECE for my Red Son Trio. I can get enough of this DC Trinity. 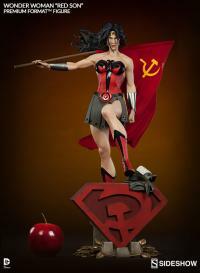 Nicely Done Sideshow Collectibles!!! 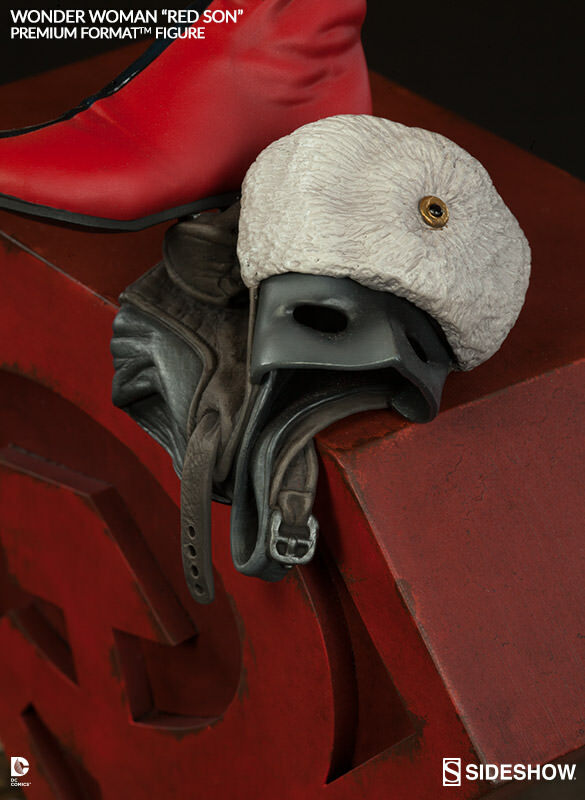 I was blown away by the quality of this Premium Format. 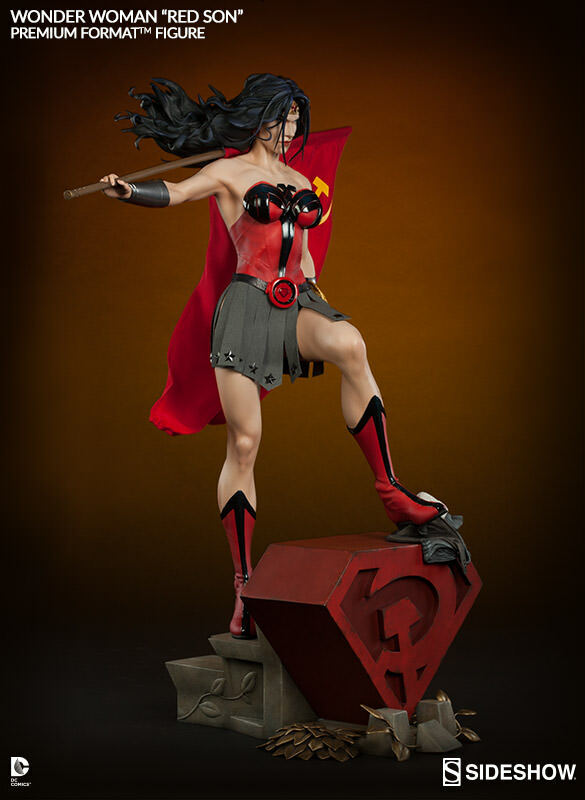 As an avid Wonder Woman fan this is by far my favorite figure of her. 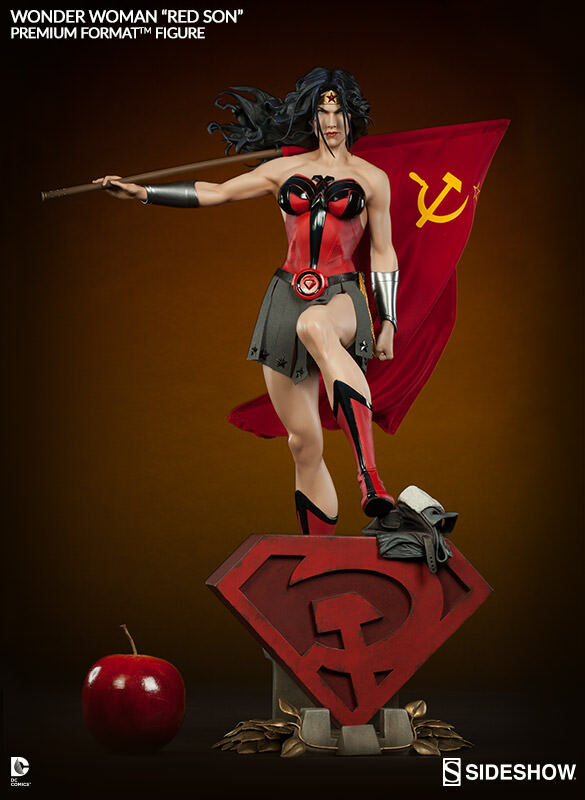 I would even say I prefer this version to the original Wonder Woman Premium Format. 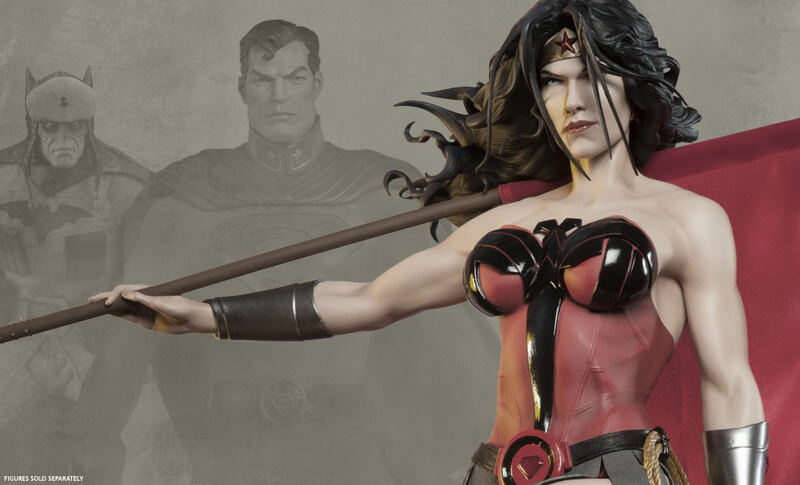 Great Job Sideshow.